RSPCA is calling on animal lovers to join in the fun of the 19th annual Million Paws Walk on Sunday, May 20. Every year, rain or shine, thousands of animals head to parks all over Australia for the RSPCA's annual Million Paws Walk. This is the one day of the year that owners and their pets get together to raise money for the work of the RSPCA, which cares for and protects thousands of sick, injured, lost and abandoned animals each year, prosecutes those who neglect and abuse them and plays an active role in educating the public on animal welfare issues. 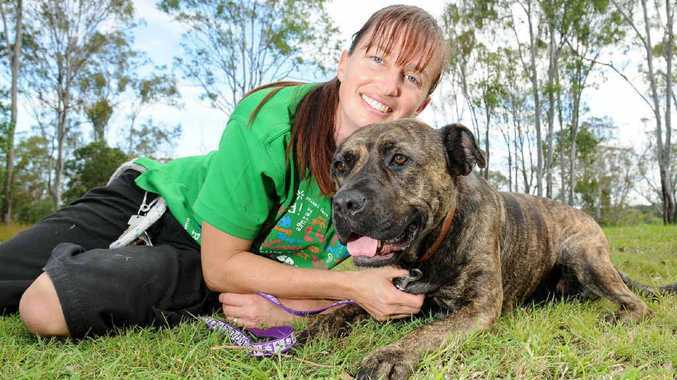 This year RSPCA Queensland has a record 30 walk locations across Queensland. "We need your help to raise vital funds to assist in caring for more than 18,000 dogs that our Animal Care Centres receive each year," said RSPCA Queensland spokesman Michael Beatty. "These dogs are not as fortunate as your much loved family pet. "They often need to be desexed and vaccinated before they can be put on the road to finding a new home." $216,000 to provide food and shelter. The Million Paws Walk is designed to be a fun day for the whole family with plenty of activities and entertainment and offers animal lovers the opportunity to meet like-minded people while enjoying a walk. So whether you have a dog or not, you can walk on May 20, and fundraise to help make a real difference to the lives of these 18,000 dogs. What: Fun family day including a 2km walk, barbecue and fun competitions for best dressed dog, dog-owner look-alike and more. Where: RSPCA Gympie Animal Care Centre, Laurenceson Rd, Gympie. More info: Evelyn 5482 9407 or ealdridge@rspcaqld.org.au. But don't forget, even if you don't have a pet, you can still come along for the walk…and the fun!